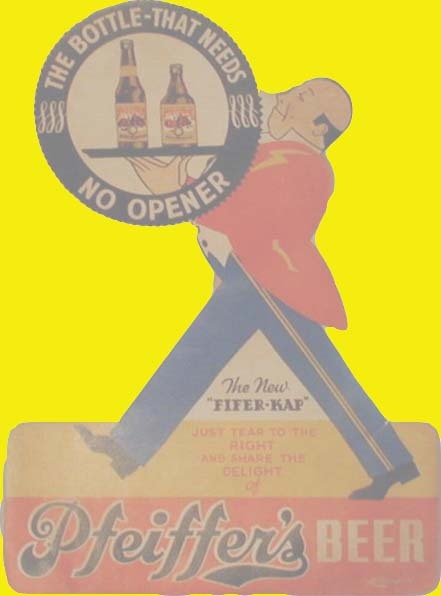 A how to on opening a Sankey type keg. 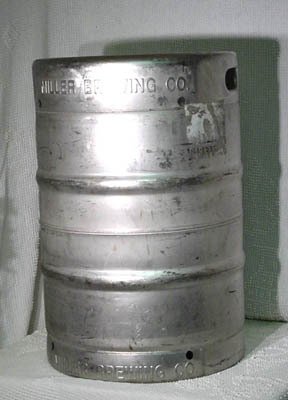 May be useful if you are a home brewer, and want to put your beer in a standard Keg. Disclaimer: Opening a keg can be a hazardous operation. 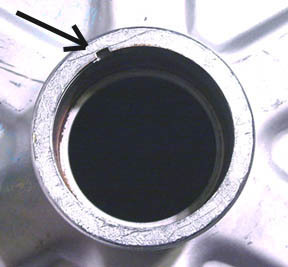 The pressure in a barrel can be as high as 60 PSI if not even greater. 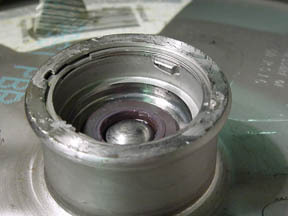 Removal of the keg stem while pressurized can create a projectile that can cause great bodily harm, or damage to property. Disclaimer: This web page is strictly a documentation of what can be done. In no way do I endorse or sanction any individual that should perform this operation. Disclaimer: This page is informational only on how a Sankey type beer keg is assembled. Here we have an empty 1/2 barrel beer keg. This one just happens to be a Miller keg. These are designed to hold 15 gallons of liquid, and a maximum charge pressure of 60PSI. The first step, and the most important is to blow off the charge pressure. This can be done while still in the tapper, by turning off the C02 gas, and opening the tap. 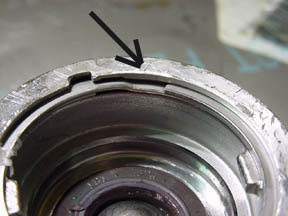 At all times in this process, it cannot be stressed enough that you must allways check to be sure that a charge has not built up in the barrel. Things such as heat, will cause it to be recharged, or any small residue of beer, that is still active can create pressure. 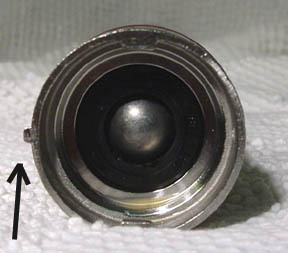 I use a small wooden dowl rod to press down on the ball valve in the center of the fitting. Now if you carefully examine the very top rim of the neck, you will see stainless spring ring holding the stem assembly together. 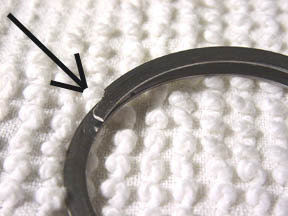 Note that the leading edge of the ring has a taper to allow for a removal tool to get a start. Well if you made it this far, you now have the ring out of the neck, and here it is. And also one on the stem. 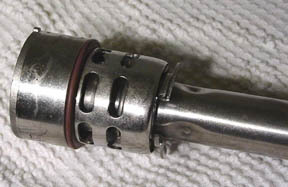 A close up view of the stem head valve assembly. 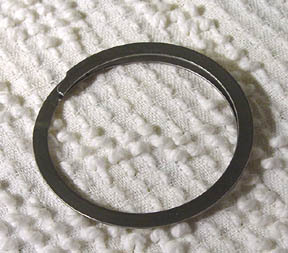 There is an "O-ring", if you need to replace this it must be a food grade "O-ring"
Well now you have it Clean your barrel with hot soapy water, rinse well in a bleach sanitizing solution. Do the same for the stem, and steel ring. and your ready to go !